How did the National Health Service (N.H.S.) staff make us feel at the exceptional Evelina London Children’s Hospital? Respected, at ease, by the surgeon. Like we were in the hands of utter professionals, with discretion, empathy and efficiency and immeasurable warmth, by the Nurses, Cardiologists, Paediatricians, Doctors, Ward Clerks and all hospital staff. Everything was explained beautifully. Our surgeon approached our pre-admission chat with humour and quiet candour. And everyone followed suit afterwards. We were so lucky. 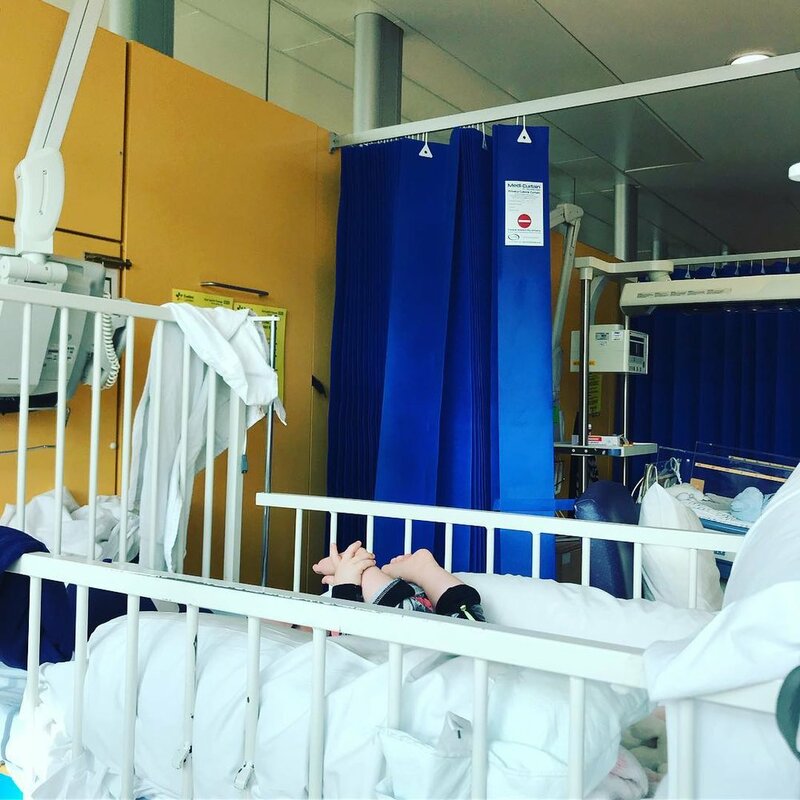 We had three days on the Paediatric Intensive Care Unit (P.I.C.U.) where one nurse looks after you fully for their 12 hour shift. I think it was 12 hours at least! Then we moved to the high dependency bay on the Cardiac ward where it’s one nurse to three patients. Lucky, lucky, lucky is what we are and praise, praise, praise is what we have. The nurses and doctors adapted to us, moulded around us, and we noticed that. Thank you Evelina London Children’s Hospital. Here’s Coraline yesterday morning before returning home with the magnificent Brooke and Becky! Well they stayed there, we came home, but I’m sure they’d have liked to have kept hanging out with her. We loved them as their genuine passion and care emanated from them and they made our little family smile a lot, as did all our other nurses. What do we say to the N.H.S.? Thank you! We appreciate you and what you do and how you do it.